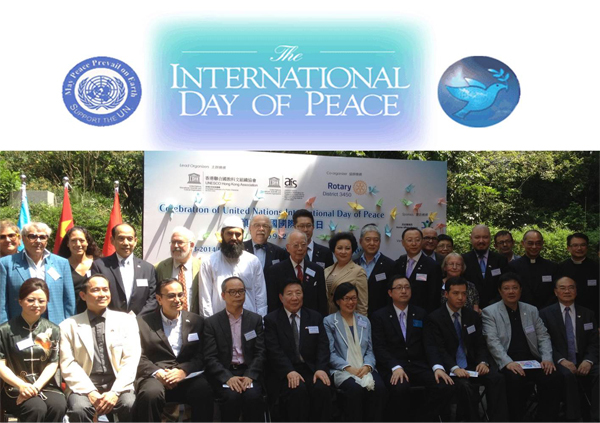 FringeBacker joined our friends at UNESCO to observe the United Nations' International Day of Peace last Saturday in Hong Kong. Guests of honour included UNESCO's Professors Patrick Lau and Samuel Leong, as well as representatives from the United Nations Organisation, the consular corps and the government. FringeBacker is delighted to have been invited by the Hong Kong Arts Administrators Association to present its Case Studies on making Arts sustainable through Crowdfunding. 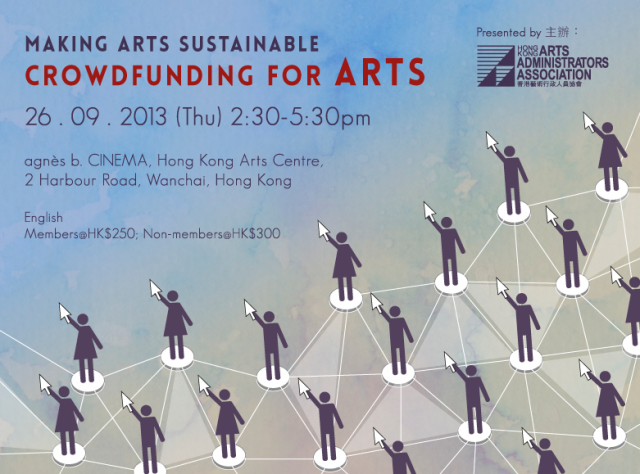 What is sure to be a special event, the HKAAA's "Making Arts Sustainable -- Crowdfunding for Arts" workshop will be held at the Hong Kong Arts Centre on Thursday 26 September. Joining us will be Culture Crowd's Conor Roche, as well as respondents UNESCO's Samuel Leong and producer Anna Cheng. Join us as we support HKAAA in advancing in a flourishing arts scene -- seats are limited, so make sure you register NOW! What a show! 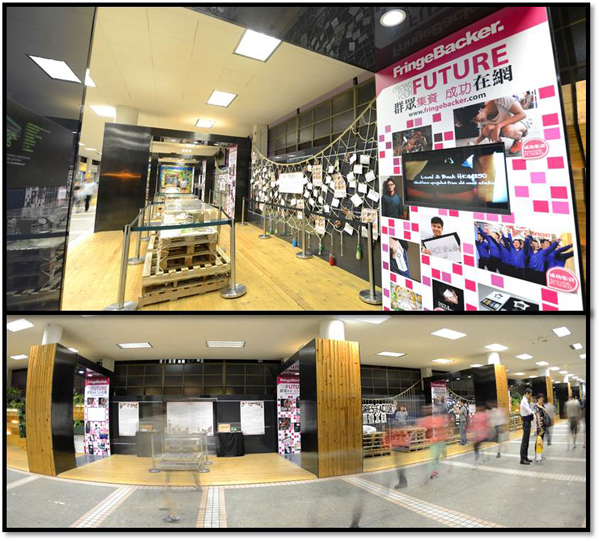 Over 100,000 people during the past 2 weeks have taken in the FringeBacker-funded solo exhibition featuring Agnes Nong's upcycled designs. Hong Kong's first crowdfunded exhibition stretches the entire length of a huge city block in the heart of Hong Kong's business district, at Central Oasis Gallery in the historic Central Market building. 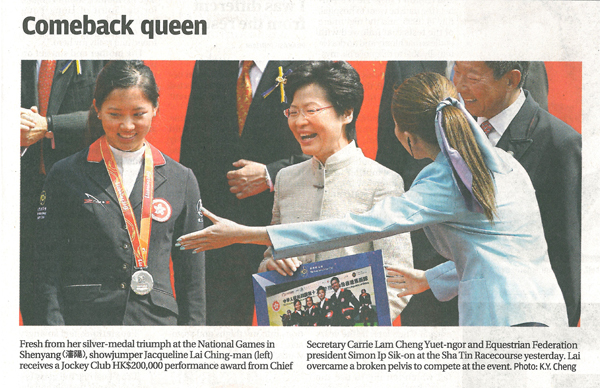 Hong Kong Economic Times published a feature on how shrewd ventures are turning to FringeBacker's bilingual crowdfunding platform for their kick-start, as well as highlights of of its fundraising successes -- Claire Lee's "Tofu+Violence", Jacqueline Lai's journey to become National Games silver medallist, upcycling designer Agnes Nong, and UK a capella champions All the King's Men's Asia Tour. 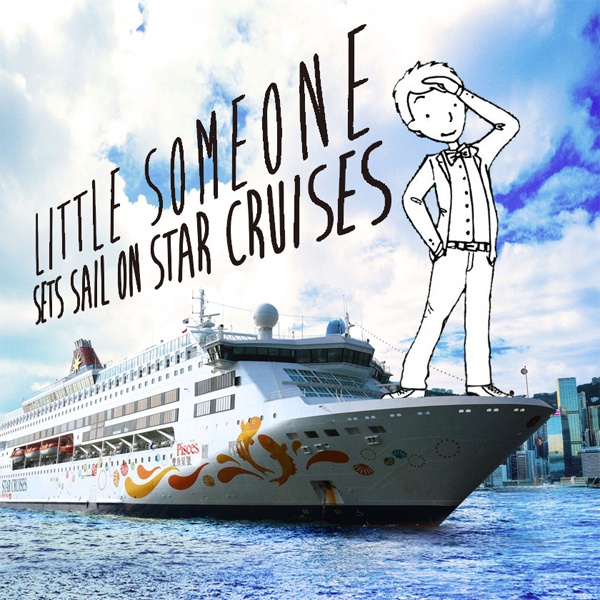 Thanks to the wonderful people at Star Cruises, FringeBacker secured a series of solo exhibitions on this magnificent cruise liner for FringeBacker-funded illustrator Syrus Kwan.Kwan's successful campaign on FringeBacker innovatively brings about public participation in art, against his artistic backdrop of distinctively iconic Hong Kong landmarks. 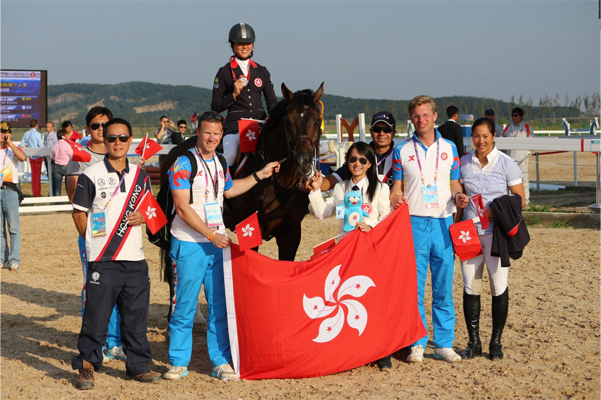 Congratulations to FringeBacker-funded Jacqueline Lai for winning the Silver Medal in the Equestrian Showjumping Individual Competition at the 12th All-China National Games! For the first time, a crowdfunded international athlete stood on the medal stand at China's National Games. 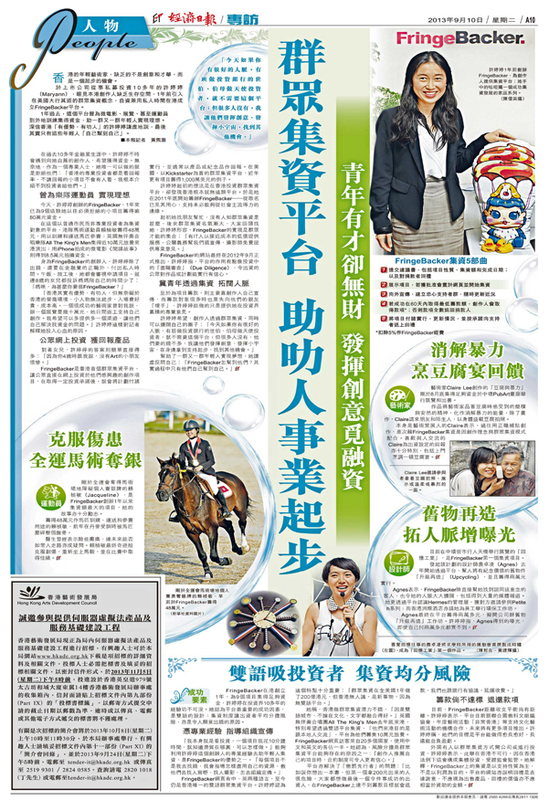 In a watershed event for the international future of crowdfunding, Hong Kong's Jacqueline Lai took home the Silver Medal in the individual Equestrian Showjumping competition yesterday, after winning over the public with her HK$482,100 (US$63,000) funding campaign success on FringeBacker earlier this year, surpassing her goal by 160%. "Crowdfunding has now become a very important part of many international athletes' funding strategy, as well as starting to gain traction among many talented people in China," said FringeBacker Executive Director Maryann Hwee, noting that Lai's achievement yesterday was likely to be seen as a turning point for the use of crowdfunding to promote and nurture sports development. Apple Daily: How much public space are we entitled to?